Youth unemployment in Portugal: a hopeless generation? 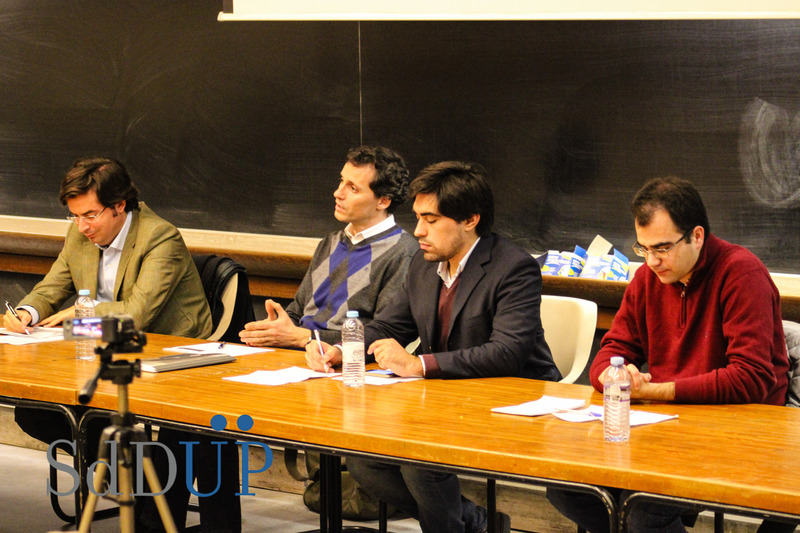 The Porto Debating Society organised a public debate on youth unemployment on the 12th of December at the Faculty of Economics of the University of Porto. About thirty students saw a debate between Álvaro Novo, research economist at the Structural Studies division at the Banco de Portugal (Portuguese Central Bank), Ricardo Carvalho, Chief Executive Officer (CEO) at the Portuguese Youth Foundation, and Pedro Costa, an unemployed young economics graduate. Álvaro Novo kicked off the debate by saying that the current unemployment is cyclical and not structural – and that the youth unemployment is at its regular number: double the general unemployment rate. The Portuguese economist, giving a more academic perspective, also argued that the main problem is not with the graduated people, because they are not the ones most affected by unemployment and most needing help. Ricardo Carvalho expressed his opinion about the partial failure of the Bologna Process, because, in his point of view, it does not provide students with a transferable education. He argued for a strong focus on vocational education and for the need of take into account the needs of the larger European labour market rather than only the Portuguese market. Pedro Costa, on the other hand, discussed how difficult is to be an unemployed young graduate despite having a degree in a reasonably employable field like economics. He said that the last thing Europe needs is a generational struggle that can affect the social cohesion. He mentioned the importance of his Erasmus experience in Poland and how important that is for his future career. The audience and other speakers then chipped on the themes mentioned earlier. They looked at how the minimum wage may be an obstacle to unemployed young people and how internships, especially non-paid ones, are the same. Interaction between the academic experts and student audience was marked. The debate series Debate changing Europe aims to let students debate about themes of European-wide importance in tournaments and public debates. It is a cooperation project between IDEA NL and university debating organisations in Austria, Germany, the Netherlands, Portugal and Sweden. The winners of the local tournaments were offered a chance to participate in a Common European Event in June, where they learned how European policy is made and how they can influence it. They then provided trainings to other young people in their home countries, and asked them for their opinions about youth unemployment. They presented the opinions of their peers at the final event in Brussels: Young and (Un)employed. Debate changing Europe is made possible with funding from Youth in Action.